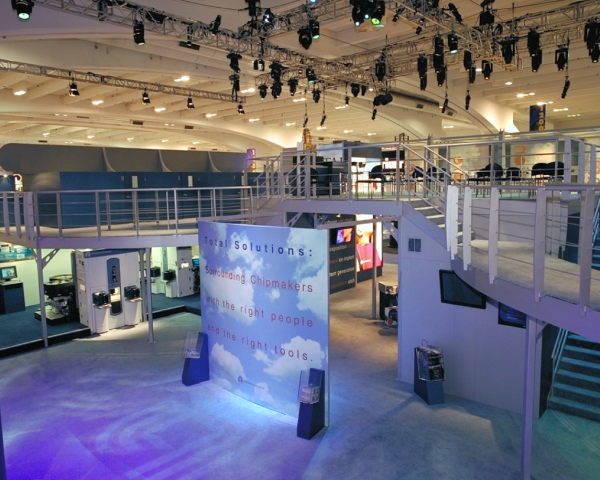 – Exhibitor Magazine 17th Annual Exhibit Design Awards. 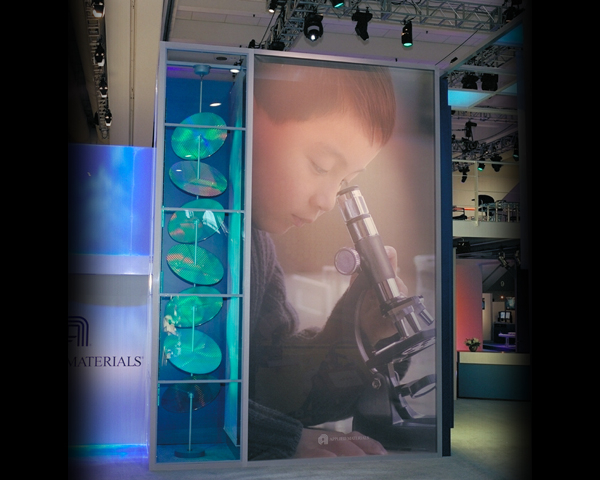 “The Magic of Innovation” was the main theme for the Semicon program. The requirement was not only a clean contemporary design but one that inspired the onlookers, made them part of the exhibit, yet kept the inside totally segregated from the outside. This was achieved by having a single point of entry which was from a double height foyer. 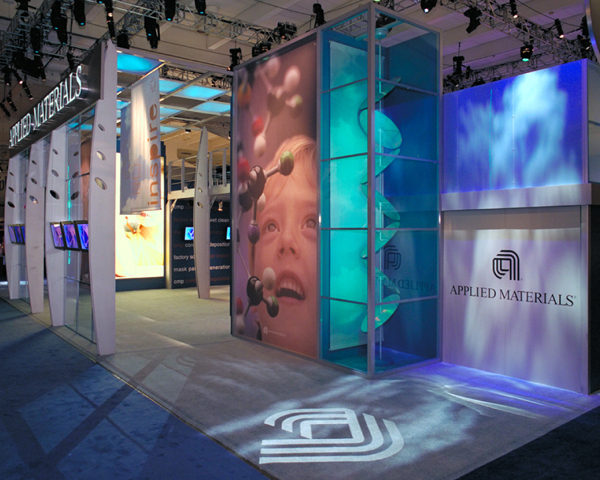 Flanking this were two large shadow boxes with 22′ high seamless graphics transitioning into each other. 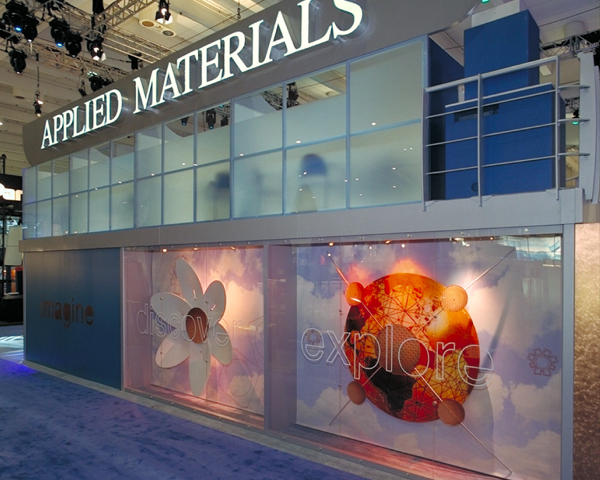 A hospitality area was located right above the entrance at 14′, giving the guests a panoramic view of the entrance, showfloor and the entire exhibit .The side walls were activated with three dimensional sculpture graphics in a retail display type show window.